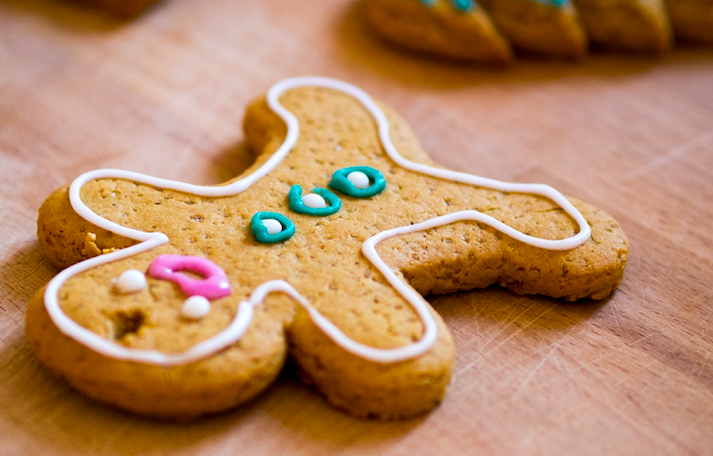 People are under the impression that gingerbread men in a Yorkshire bakery were recently switched to ‘Ginger Persons’. The truth: they were already called that. Now that is woke. In the age of Person Christmas, Person Bunny, Person Bond and Person Nature, one little baker had the know-all to made his treats gender-neutral decades before it was the norm. Well.. sorta. I don’t think Thomas the Baker was looking out for the perpetually-offended when he made his little fellas ‘Persons’ instead of ‘men’ back in 1983. Whatever the case, people have now come for Thomas and his baked goods, letting him know they’re grateful for what they believe to be a recent name change. Sorry to disappoint you all – they have been Ginger Persons since 1983! It was chosen by one of our Managers in York and the name stuck. We did get a complaint from trading standards in the 80’s that we were discriminating against ginger haired people – seriously!! 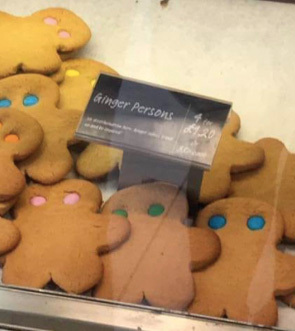 One place that did recently make gender fluid ginger persons was JL Bean bakery in Cleveleys, Lancashire, whose owner Paul Lewis decided to make the change on the advice of his employee Jeff Dugdale. Seemingly now you have to call gingerbread men ‘gingerbread persons’ when ordering. As far as I can see there is no law in place for this type of PC nonsense. My wife just put this little ‘gingerbread persons’ label on them as a whim, and that was last year. It was never anything to do with political correctness and we’ve not really had any comeback until now. He said the online response had been ‘jokey’ but was ‘surprised at how seriously some of the people were taking things’ adding ‘I think maybe there’s been a bit of a misunderstanding’. Have you seen these ginger men?